Why create these environmental zones? As of July 2016, France has been using environmental stickers in Paris. This policy was instigated in order to keep older vehicles, and those with higher emissions out of large cities and areas, in order to improve air quality (a certain quality of which is needed to breathe). In France, two types of environmental zones have been defined. The first is 'Zone à Circulation Restreinte', also called ZCR. This is an environmental zone that is permanently in force. The second type of environmental zone is 'Zone de Protection de l'Air', or ZPA. This is an environmental zone that only applies on days when the air quality is very bad. There are a total of six different environmental stickers that we all briefly explain below. On the website that specifically deals with all environmental regulations in France, you will also find a detailed explanation of which vehicles must have which type of sticker. The green sticker is for the most environmentally friendly vehicles. A vehicle with this sticker has a fully electric motor or a motor based on a fuel cell. This can be passenger cars, mopeds and trucks. The purple sticker with the number one is for slightly less environmentally friendly vehicles. These are vehicles from recent years with a modern gas installation or a petrol / diesel / hybrid engine. Older vehicles get the yellow environmental sticker with the number two. These vehicles emit more harmful substances, but may still enter all environmental zones in 2018. The older vehicles get the orange environmental sticker with the number three. Here it concerns even more polluting vehicles. These vehicles currently have access to all the environmental zones, but it is likely that these permissions will be refused at these locations in a few years time. As you might have guessed by now, the red sticker with the number four is for vehicles that are even more polluting. This is a sticker for older vehicles with even higher emissions, typically with a diesel engine and for older mopeds. On days with heavier air pollution these vehicles are not allowed within the environmental zones. The gray sticker is the most polluting category for vehicles and is for vehivles with a diesel engine above a certain emission. With this sticker you will you will no longer be able to enter environmental zones in the near future. In order to check which kind of environmental sticker you need, check out the French government site on it here. Which cities are involved in the environmental project? As mentioned above July 2016 saw Paris become the first city to embark on this environmental project. Within the urban area you can only drive if you have the right sticker on your vehicle. The environmental zone is in operation from Monday to Friday between 08:00 and 20:00. Outside these times vehicles are allowed to enter the area without a sticker. On days with a lot high levels of air pollution, the area around Paris where an environmental sticker is mandatory increases to cope with this. As of January 2017, Grenoble also has a permanent environmental zone within its urban area. The zoning for this is active between 06:00 and 19:00 on Mondays through Fridays. Like Paris, you can enter the city without a sticker outside these times. Lille joined the program on 1 June 2017. However, the environmental sticker is only mandatory on days with a lot of air pollution. 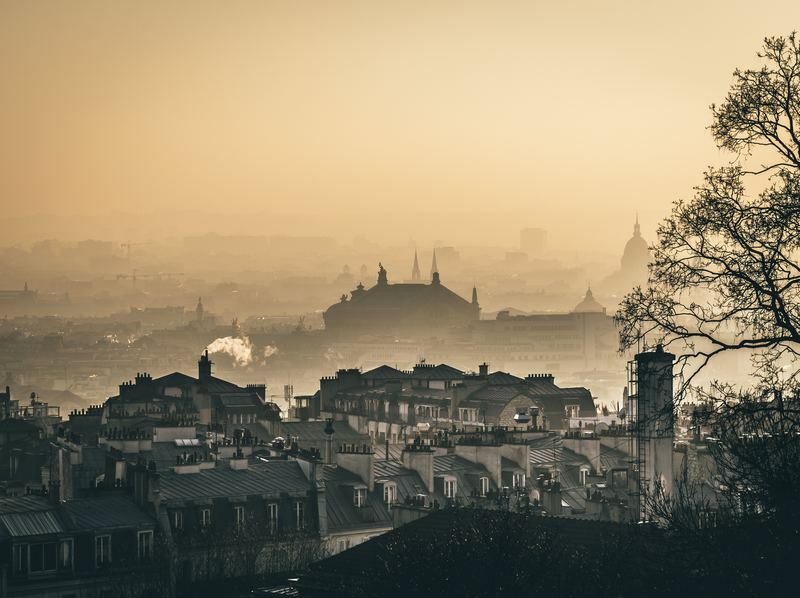 In addition to Lille, Lyon also has an environmental zone on days with high levels of air pollution, as do the cities of Strasbourg and Toulouse. On the website with the complete overview of the environmental zones in France you will find maps that also indicate exactly where each zone starts and ends, and full details on what to take into account in the zones of specific cities. If you are planning your next holiday to France and you have checked whether you also need an environmental badge, here is the last step you have to meet to actually apply for a sticker. The stickers themselves cost £4.30 which included the price of posting it to the UK. It is definitely worth getting one in advance as on the spot fines for driving in the aforementioned cities without one range from £61-£135 (plus it will look great next to your Goboony sticker).